In 2019 – Triple M Rocks Footy like never before. The biggest names call the biggest games on the Triple M network right around the country. James Brayshaw, Brian Taylor, Wayne Carey, Chris Judd, Dennis Cometti, Mark Ricciuto headline our star-studded commentary team. Triple M keeps you across the footy during the week with Eddie, Darc and Will on Triple M’s Hot Breakfast in Melbourne, Roo & Ditts for breakfast on Triple M Adelaide and the Rush Hour each arvo in Melbourne and Adelaide. When it comes to footy on the radio, nothing beats the fun, excitement and tradition of 3AW Football. 3AW has been the first choice for football fans for nearly eight decades. From those who grew up listening to Norman Banks, Harry Beitzel and Bill Jacobs, to those who fell in love with the game through Rex Hunt’s inimitable commentary, 3AW has offered each generation the perfect blend of news, views and entertainment. With the likes of Leigh Matthews, Matthew Lloyd, Jimmy Bartel, Tony Shaw, Matthew Richardson and Cameron Ling in special comments and Tim Lane, Dwayne Russell, Bruce Eva, Tony Leonard and Matt Granland calling the action, it’s no wonder 3AW is synonymous with football in Melbourne. In 2019, Crocmedia’s AFL Nation continue to be Australia’s most widely-syndicated AFL broadcast. With a highly-respected commentary team featuring some of the game’s biggest names, AFL Nation provides listeners with the perfect mix of information and entertainment. Gerard Whateley, Anthony Hudson, Sandy Roberts, Peter Donegan, Stephen Quartermain, Jack Heverin, Andy Maher, Tim Gossage and Tristan Foenander head the play-by-play commentators, while Garry Lyon, Danny Frawley, Robert Murphy, Kane Cornes, Terry Wallace, Liam Pickering, Nick Dal Santo, Paul Hasleby, Adam Cooney, Daisy Pearce and Malcolm Blight are just some of the names who will provide outstanding match analysis. 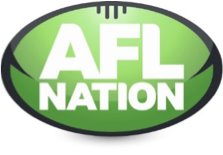 AFL Nation not only delivers its AFL call throughout all parts of regional Australia, but also provides metropolitan coverage into Melbourne, Sydney, Brisbane, Adelaide and Perth. In addition, the broadcast is complemented by a nightly sports show Sportsday into all markets, providing weeklong coverage and analysis throughout the season. ABC Grandstand gives you 100 per cent pure footy every weekend - all live and commercial free. ABC Grandstand’s AFL coverage reaches all parts of the country and beyond, through ABC Radio, ABC Grandstand on digital radio, ABC NewsRadio and into the Asia Pacific on Radio Australia. With a team of outstanding broadcasters from every state and territory, ABC Grandstand brings you unparalleled coverage of the game right across the country. 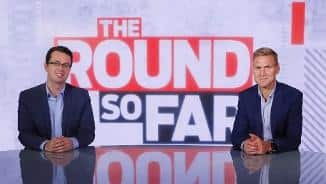 Join Alister Nicholson, Clint Wheeldon, Matt Clinch, Corbin Middlemas, Kelli Underwood, Quentin Hull, Joel Peterson and Brett Sprigg for all the action as it unfolds each weekend. Complimenting the play by play commentary team, Grandstand brings you expert commentary and game analysis from some of the biggest names that have played or coached, including Mick Malthouse, David Parkin, Mark Maclure, Shane Woewodin, Brad Sewell, Rod Jameson, Nathan Burke, Lauren Arnell, Brendon Goddard, Brent Harvey and Adam Ramanauskas. Anthony ‘Lehmo’ Lehmann will be joined each Saturday and Sunday by Angela Pippos and Emma Race to provide pre game analysis and discussion on the biggest footy topics as season 2019 unfolds. Born in January 2004, 1116 SEN is Australia's biggest all-sport radio station. Boasting broadcasters, newsbreakers, former champion sportspeople and coaches the ilk of Anthony Hudson, Kevin Bartlett, Garry Lyon, Gerard Whateley, Tim Watson, Dermott Brereton, Bob Murphy, Danny Frawley, Andrew Maher, Daisy Pearce, Adam Cooney, Sam McClure, David King, Terry Wallace, Kane Cornes and Nick Dal Santo - the station is rightfully considered to be "Melbourne's Home of Sport". Since 2007, 1116 SEN has called more AFL matches than any other Melbourne radio station and with rights to more than 150 games in 2019 - combined with specialty shows Crunch Time and The Match Committee - 1116 SEN will again be the one-stop destination for all footy lovers. 1116 SEN is “Melbourne's Home of Footy”. If you love the AFL, you'll love 6PR. Broadcasting well over 100 games in season 2018, 6PR is the home of the Eagles and Dockers. You can hear every West Coast and Fremantle match live with the best local call teams and the most comprehensive coverage in town. Our team of broadcasters features Eagles premiership player Karl Langdon, 1985 Brownlow medallist Brad Hardie, Docker champion Luke McPharlin, Dual premiership player Glen Jakovich and an excellent call team of Adam Papalia, Mark Readings, Shane McInnes & Peter Vlahos. FIVEaa is Adelaide's number one footy station and has been calling AFL games since the Adelaide Crows' inception in 1991. Our assembled football team is the biggest and best in Adelaide, featuring the most respected callers, experts and opinion makers in football. FIVEaa provides Adelaide's most comprehensive coverage of football, broadcasting up to six live games every weekend. We are the only footy station that broadcasts EVERY Adelaide Crows and Port Adelaide game live and passionate from wherever they play throughout the season. FIVEaa is FOOTBALL in SOUTH AUSTRALIA. For more than 87 years, K rock 95.5 (3GL) has broadcast the AFL/VFL throughout Geelong, the Surf Coast and Bellarine Peninsula; arguably the longest continuous sporting broadcast of its kind in the world! Winners of the Australian Commercial Radio Award for 'Best Sports Coverage' in 2010, 2011, 2012, 2014, 2015, 2016 and 2018; K rock Football is provincial Australia most awarded radio sports coverage. In 2019 K rock Football will cover Geelong’s JLT community series matches, all 22 Geelong Cats home and away games, 44 other Toyota AFL Premiership Season games and seven Toyota AFL Finals Series games, culminating with the 2019 Toyota AFL Grand Final. 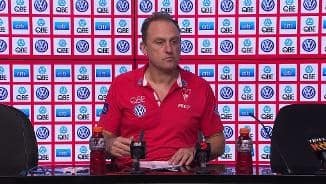 Our call team comprises of commentators Tom King, Ian Cohen, Ben Casanelia, Daren Berry and Ben Williamson along with special comments from former Cats champions Paul Chapman, Kent Kingsley and Tom Longergan and former AFL senior coach Mark Neeld. In addition we're joined by regulars including Shaun Higgins and premiership players Leigh Brown and Darren Bewick. The Age’s Pete Ryan and Lauren Wood from the Herald Sun alongside statistician Heath Buck complete our team. 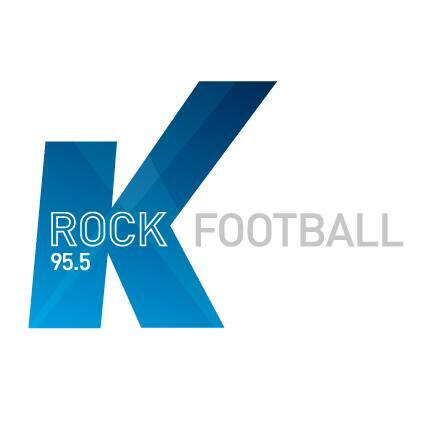 While our traditional frequency of FM 95.5 can be heard in and around Geelong, fans of K rock Football can also follow games at Marvel Stadium and the MCG on FM 88.0. “AFL Indigenous Broadcasting” via the National Indigenous Radio Service (NIRS) will enter its 23rd year of AFL coverage in 2019. A minimum of three matches are covered each round along with all finals and broadcast via a vast network of some 200 plus stations right across the country. Our expanded coverage is now available to EVERY community station right across Australia both regionally and in capital cities. All games are also live online and on mobile devices via afl.com.au. With a commitment to a high quality, entertaining broadcast, the NIRS is also a vehicle that provides opportunities for current and former Indigenous players to be involved in the media under the broad banner of AFL Indigenous Broadcasting. AFL Indigenous Broadcasting is supported by the Bendigo Bank and Virgin Australia. As Australian rules football continues to grow in popularity in the northern states, Macquarie Sports Radio, which launched in early 2018, continues its nation-wide approach to sports broadcasting with the best in news, opinion and talkback. Footy fans in New South Wales and Queensland will have access to the colour and excitement of AFL Nation’s call of the 2019 Toyota AFL Season. From the big Buddy Franklin goals to the towering Eric Hipwood marks, the coverage through Macquarie Sports Radio will make you feel like you’re right there in the thick of the action. Catch it all on Macquarie Sports Radio. News Corp Australia is Australia's biggest media company and the newspaper partner of the AFL. The company's 13 metropolitan-based newspapers and digital products around Australia keep up to six million readers informed, entertained and passionate about AFL around the clock, seven days a week. News Corp Australia's key papers include the Herald Sun in Victoria, Daily Telegraph in New South Wales, Courier Mail in Queensland, Adelaide Advertiser in South Australia, Hobart Mercury in Tasmania, NT News in Darwin and The Australian nationally. News Corp Australia's commitment also extends into the growing AFL markets of regional Queensland where the Gold Coast Bulletin, Cairns Post and Townsville Bulletin play a vital role in assisting to develop the game. The Daily Telegraph and NewsLocal community newspaper group is also promoting the game in western Sydney, as is the Geelong Advertiser in the western part of Victoria. The company's reporting strength is demonstrated by the fact that is has 50 reporters and 10 photographers dedicated to covering our great game including award winning journalists Mark Robinson, Jon Ralph, Michaelangelo Rucci and Andrew Hamilton. 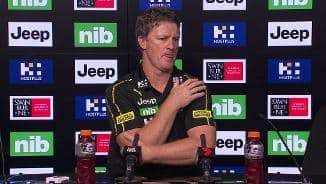 News Corp Australia also owns AFL broadcaster Fox Footy, is a 65 per cent owner of Foxtel and runs Australia's most popular fantasy game SuperCoach.